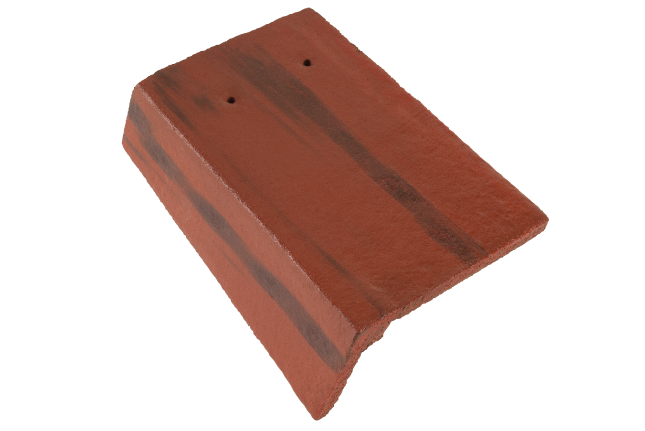 The Russell Plain Tile Cloaked Verge tile is a concrete plain tile fitting which is suitable for use on the verge of a plain tile roof. They are manufactured in Right Hand and Left Hand to suit both verges. The Plain tile Cloaked verge are available in a range of colours to suit Russell’s Traditional Plain tiles, Blends and Heritage Plain tiles. All Russell Roof Tiles concrete fittings are manufactured in accordance with the requirements of BS EN 490 “Concrete Roof Tiles and Fittings-Product specifications” and BS EN 491 “Concrete Roof Tiles and Fitting-Test Methods”.